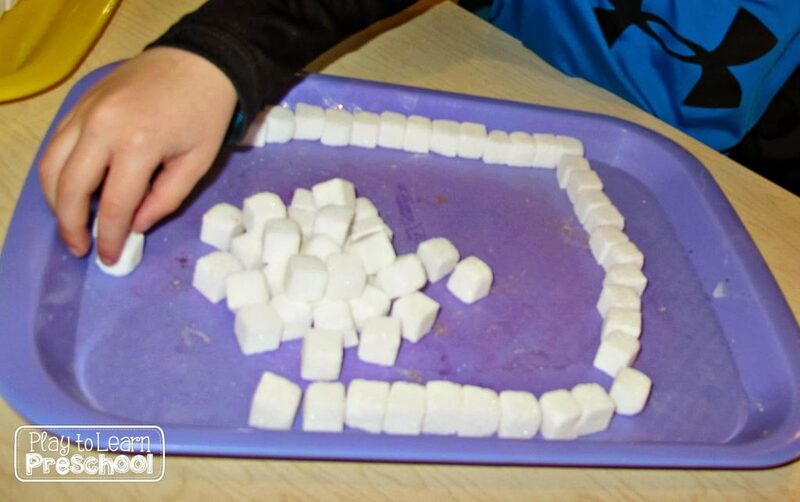 Here are just a few other things that kept us playing and learning at school last week. 1. 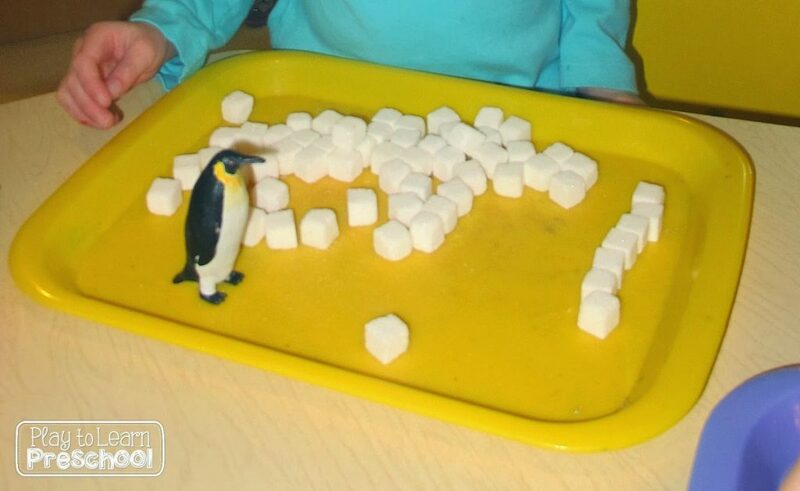 We made igloos out of sugar cubes for our little penguin toys. 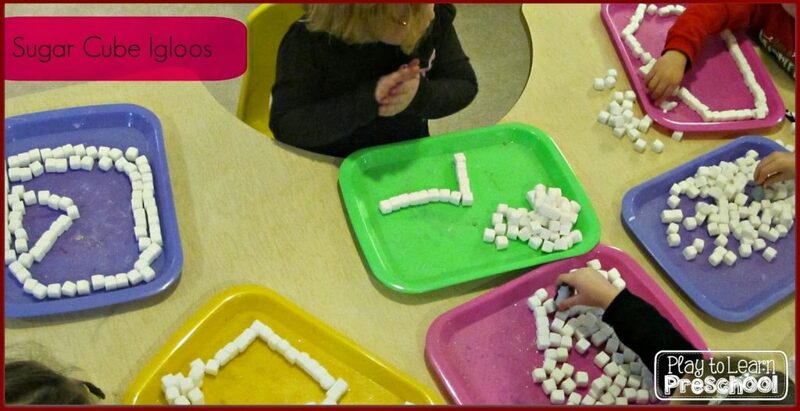 It was a fun sensory experience and provided a good review of shapes. 2. I found this adorable Mitten Line Up game on TpT. There are 10 mittens, labeled with the numbers 1-10 as well as the ordinal numbers. Each mitten is a different color. To play, we hid a little snowball under a mitten and the students had to guess where it was. 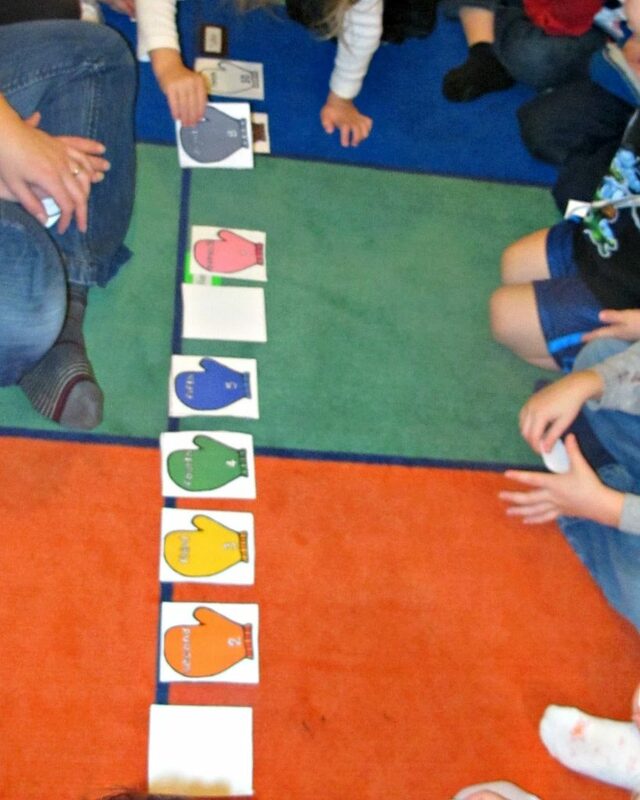 Our older class used ordinal numbers, and the younger kiddos guessed using numbers and colors. They asked to play it over and over again during centers! 3. 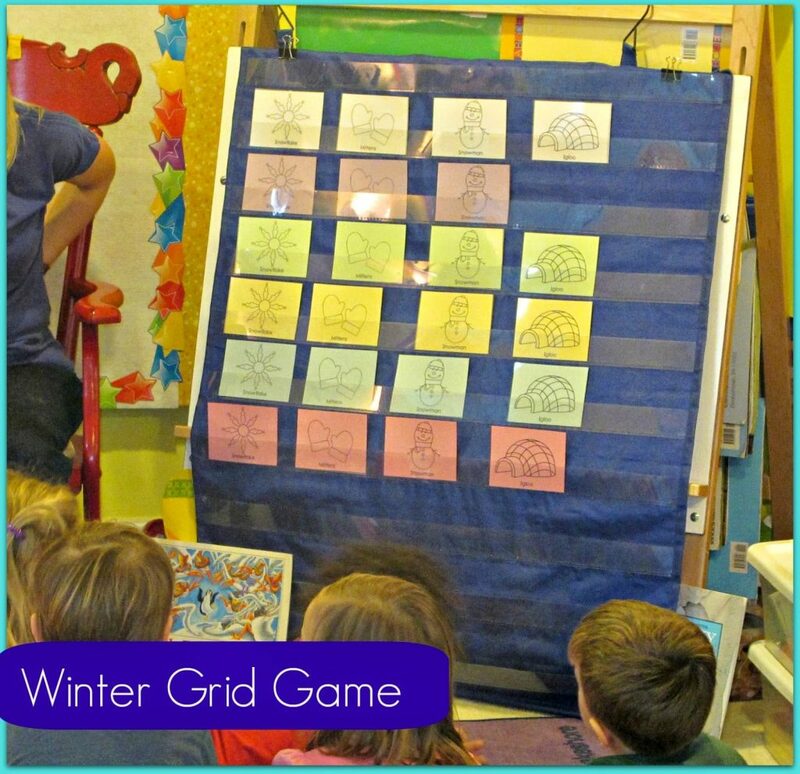 We also had a lot of fun with our Winter Grid Game. The students are getting so good at it that we had to add a 6th color. Even then, they can figure out what is missing immediately. I am so proud of how far their logical thinking skills have come since the beginning of the year! Have fun playing and learning with your children!